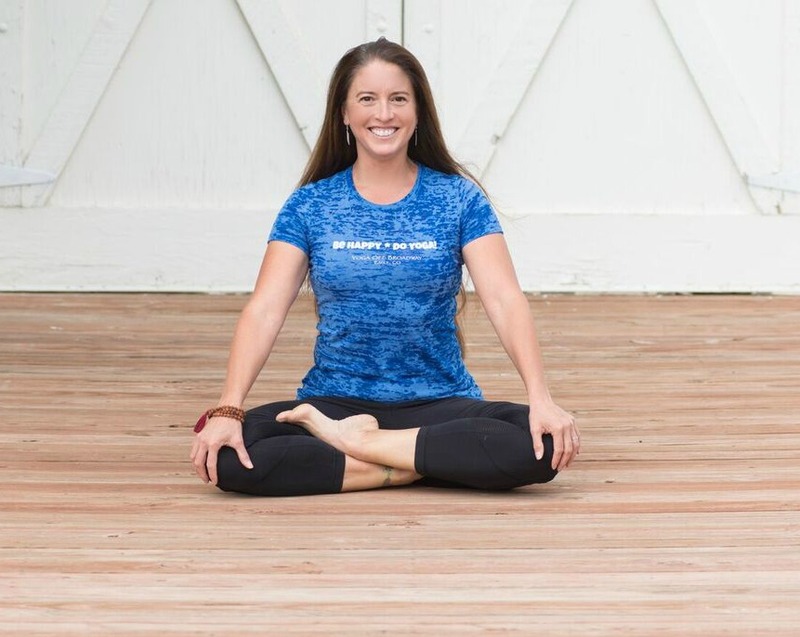 Lisa Woods - Yoga Off Broadway | Yoga for Every Body! I am blessed to have found the practice of yoga. There have been so many ebbs and flows in my life but I am grateful for the constant that yoga is to me. As a teacher I ask my students to be honest with themselves and their practice; assuring their time on the mat is deeply personal yet highly connected with others in the room. Alignment is the root of my teaching and I believe a powerful practice can evolve from this place. With a solid foundation in Personal Training and Group Fitness, I began my yoga education with 70 hours of YogaFit training, followed by numerous workshops from many great teachers. In 2011 I completed a 200 hour “Evolve Yoga Teacher Training” with two amazing teachers, Amy Baker and Kerri Bergeron. What’s on the horizon? In 2014 I begin my studies in Yoga Therapy. I aspire to help each individual find physical health and healing through the ancient practice of yoga and through this physical well being find peace of mind. What can you expect when you take a class with me; To laugh, to sweat, to be challenged, to practice with music, to be encouraged, to feel safe, to be a part of something bigger then ourselves! I invite you to come play!